PB Singh, ADGP, Law, and Order, Maharashtra conducted a press conference on August 31, 2018, and placed specific evidence against the arrested Urban Naxals in the public domain. He also revealed that some over ground carders are trying to discredit police investigation. On April 17, Pune Police carried out raids at six places and arrested accused persons with alleged links to a banned Maoist outfit. Police-raids were carried out at Rona Wilson’s property in Delhi, Surendra Gadling’s house in Nagpur, Sudhir Dhawle’s residence in Mumbai, and also at Sagar Gorkhe, Deepak Dengle, as well as Ramesh Gaichor’s home. 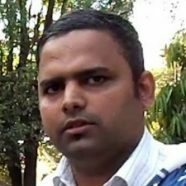 Letters and digital data obtained during the raids indicate that these so-called “Human Rights” activists were planning to use Kashmiri separatists, Dalit leaders, lawyers, and young college students from JNU, TISS to trigger an armed revolution to overpower the democratically elected government. The documents also revealed how they plan to kill PM Modi. 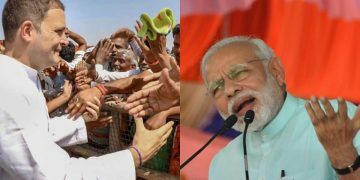 The Koregaon-Bhima violence was triggered as a part of the same action plan intended to disturb law and order in BJP ruled states. Several items including computers, laptops, and documents were seized from the accused persons’ house. The seizures were video graphed and sealed in the presence of accused as well as panchas as per procedure. All the items were sent to the forensic investigation laboratory for further analysis. 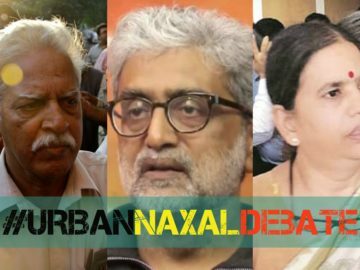 The letters shared by the police with journalists disclosed how the Urban Naxals planned to buy multiple weapons, including machine guns, Russian Grenade Launchers GM-94, Chinese QLZ-87 Grenade Launchers. The arms and ammunition meant to be supplied to the Maoists may already have been purchased. All the weapons are capable of causing maximum damage to India’s forces fighting against the Maoists. Three paged arms catalog was recovered from Roma Wilson’s computer. 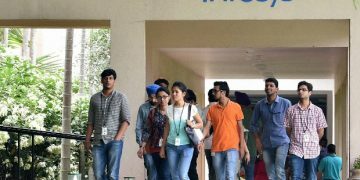 During various stages of the investigation, police found the involvement of Vernon Gonsalves, Arun Ferreira, Gautam Navlakha, P Varavara Rao, and Sudha Bharadwaj. Their houses across four states were raided on August 28, and evidence was seized. Currently, all of them are under house arrest as per the SC’s order. Some of these accused already have criminal records and were arrested in the past but left due to lack of evidence. Thus, to get information about the use of funds and details of weapons purchased using the collected money, it is necessary to arrest and interrogate the above five. P Varavara Rao’s custodial interrogation has become necessary, as per PB Singh. But, due to the SC’s intervention, the above five have been placed under house arrest. The honorable court has given time till September 5 to the Maharashtra state police so that they can present their evidence. Overground carders are trying to discredit police investigation. Now, the nation knows how Urban Naxals have managed to influence and control senior journalists, lawyers, retired judges, professors from educational institutions, and even police officers. 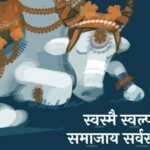 As a part of propaganda, most of the journalists are referring to the arrested persons as “activists,” and not accused or terrorists, as they did in the case of Vaibhav Raut. 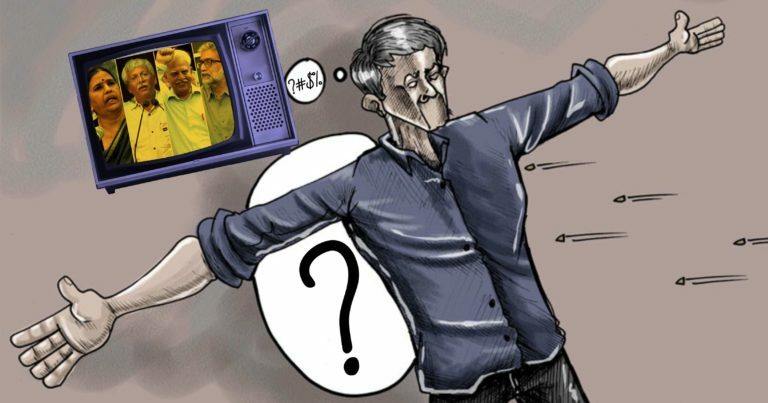 After the arrests of the accused persons, most of the mainstream journalists seemed upset to their core. Some of them were even acting like frogs jumping from one leaf to the other in a pond after a snake attack. Take Rajdeep Sardesai’s interaction with complainant Tushar Damgude as an example. Rajdeep played judge, harassed the complainant, and even asked Tushar if he’s a Sanghi. Not just journalists, but even retired judge P B Sawant known for his leftist mindset ended up verbally abusing Damgude during a Marathi channel debate. 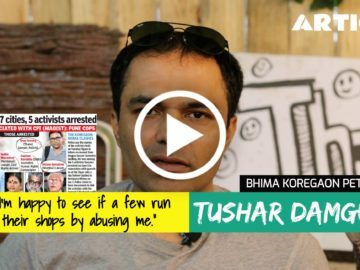 Tushar managed to expose both of them. Now, these left-liberal intellectuals and Urban Naxals are finding it difficult to fool people. Even the police are aware of the propaganda. 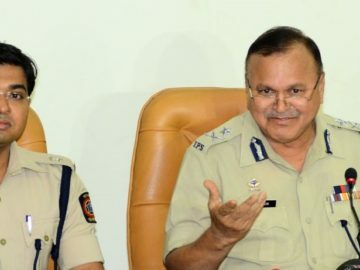 During Friday’s press conference, Maharashtra’s Additional Director General of Police, PB Singh, explicitly said that there exists propaganda machinery run by overground carders who are trying to discredit police investigation. 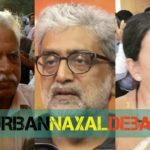 While speaking about the concept of Urban Naxals, Singh was quick to point out that the idea exists over the last two decades. He has dealt with some Urban Naxals while working in Maoist affected areas of Chandrapur, Bhandara. He assured the people that the police’s evidence is fool-proof, tamper-proof, and the integrity of the evidence has been entirely maintained. The state will put all its cards in front of the Supreme Court on September 6.